One thing I love about the end of the year? Making lists. Now, any time’s a good time to make lists, but there’s something about looking back at a year and remembering favorites throughout that time period that I just love. 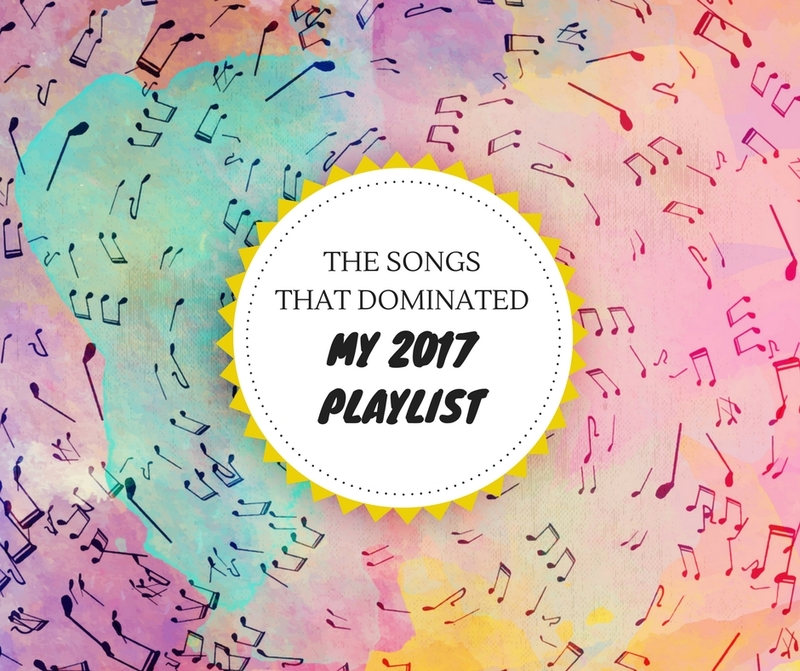 And seeing as there’ll be plenty of book related end-of-year lists, I’m taking the opportunity here to talk about my favorite songs of the year! To help me do this, I’m going for a sort of chronological order, so from my top songs during the beginning of 2017 until now. Here we go! Honestly, I could have added the entire Ambitions album by One Ok Rock. This album was on repeat for pretty much the whole of January and February. I love every single song on the album, though We Are gives a nice idea of what this band has to offer. Ed Sheeran is one of my all-time favorite artists so naturally I was so happy that he released a new album in 2017, which is once again filled with so many great songs. Though my personal favorite still remains Castle on the Hill because the theme of nostalgia and childhood friendships just speaks to my soul. Oh hey, another band with a whole album full of amazing songs! I fell in love with Waterparks early this year as well, though I think Royal is the song I’ve listened to and sang along to the most. Thanks Lauren for introducing me to this band! I’ve listened to Voldemort, a song about the stigma of mental illness (hence the title, since fear of a name only increases fear of the thing itself), more than I can count. And I’m pretty much in love with the acoustic version as well. LOVE this song. It’s so catchy and I can’t not dance when I hear it! And the lyrics about needing to move on, but waiting for that ‘green light’ to tell you you’re ready really struck home with me this year. This may seem like a bit of an odd song to include, but in case you didn’t know yet, I got into a small obsession with Death Note this year. I especially loved the anime and this means I also listened to the soundtrack non-stop. Including this song which was used as the anime opening song. And from Death Note we go to K-Pop as that is pretty much how I rolled into it. The artist playing the character of L in the Korean Death Note musical happens to be a K-pop artist, you see? I fell in love with Xia and especially Flower. The music, the video, the choreography and the lyrics: everything combined make this my number one song for 2017. Yes, number one, I said it. From Big Bang to BTS, the other major k-pop obsession in my life. And yes, I think I can call it obsession when I have learned the names of every single member (I hardly know names for Western band members), watch every interview or behind-the-scenes video I can find and just generally think about this band in some way on a daily basis. But I adore them to pieces and it all started with Not Today for me. Some songs are just that kind of song that makes you smile and happily dance around whenever you hear it. No Promises was that kind of song for me in 2017. I adore the entire Crooked Teeth album, so honestly I could have picked any song from that album! But I’ve always had a soft spot for Papa Roach’s softer songs, so Periscope won out in the end. Do I even need to explain why I adore this song? It’s been everywhere in 2017, and for good reason! To be fair, 2016 was more the year of Sleeping With Sirens for me. I must admit that though I fell head over heels in love with this band then, I still have not listened to their entire new album. And I was not a huge fan of Legends at first. But then the song grew on me. And grew on me. And when I heard it played in the Hard Rock Cafe in Tenerife while I was having dinner there during my holiday, I realised that I had fallen in love. Plus I saw these guys live this year and loved them. So Legends deserves a spot on this list and I need to hurry up and listen to the full album. I’ve been a Linkin Park fan since I was a teenager. Crawling was the first song by them I’ve ever heard and to date it’s still my favorite. I’ve been lucky enough to have seen them live a few times, last of which was in July this year at the Werchter festival. They played an amazing acoustic version of Crawling that brought tears to my eyes. Just a few weeks later we heard the terrible news of Chester’s passing and I still can’t quite believe we lost him. Which songs, bands or albums will you always link to your 2017? Ah yay 🙂 Waterparks is soo good, definitely one of my fave discoveries of 2017 as well! Marie @ Drizzle & Hurricane Books recently posted…3 years of blogging – You asked, I answer : here’s the massive Q&A ! Savannah @ The Book Prophet recently posted…BLOG TOUR: PULSE by Danielle Koste // Excerpt + INTL Giveaway! I’ve seriously had Castle on the Hill on repeat for the past three months! I don’t know what it is about his new album but I’ve been loving it. That song as well as Perfect (the new Beyoncé collaboration is lovely) and Galway Girl are my go-to’s. Linkin Park is also SUCH quality! I’ve also been listening to them since I was a teenager and they have some amazing songs. Yes, the entire new album by Ed Sheeran is just so amazing! Perfect and Galway Girl are indeed such great songs too! Thanks! Apparently my brother listens to them, loll. And Chester is definitely missed! P.S. What have you done to me??? I cannot stop listening to, and watching, Bang Bang Bang!!!! Thanks 🙂 2017 was definitely the year of Ed Sheeran I think. Big Bang! My obsession is not as full blown as before, but it definitely make a come back here and there. I love a good Big Bang listening session 😀 Mine will probably Something New by Axwell & Ingrosso- it’s definitely the soundtrack of my summer 2017! Yeay songs. I know so little of these or I have heard them and just don’t remember the title/artist. I really have to give some of these a listen when I have some more time. 😀 It is great to make lists this time of year!